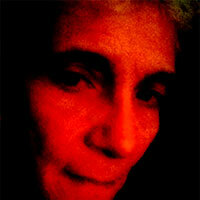 RC deWinter is a writer/digital artist whose poetry has been anthologized in “New York City Haiku,” (NY Times) and “Uno: A Poetry Anthology,” (Verian Thomas) and featured in print in 2River View, Pink Panther Magazine, Another Sun as well as in numerous online publications. She will have two pieces in print in the Jan/Feb 2019 issue of Down in the Dirt. My eyes filled with tears as I read this. Outstanding. Appreciate the encouragement, Ryan, thank you. I appreciate the encouragement, Ryan. Most kind, Arlene, thank you, I’m glad the words speak to you. Thank you, Arlene, I’m glad the words spoke to you. Many thanks, Arlene, I’m glad the words spoke to you. I love your works! I’ve been absconding from Gplus since a couple of years now, but was so thrilled to see your name (poem) in this edition! Glad to catch up with and congrats, I have to go find your piece, Sheika, thanks much. I love your works! I have been absconding from Gplus for a couple of years now, but was thrilled to find your name (poem) in this edition!